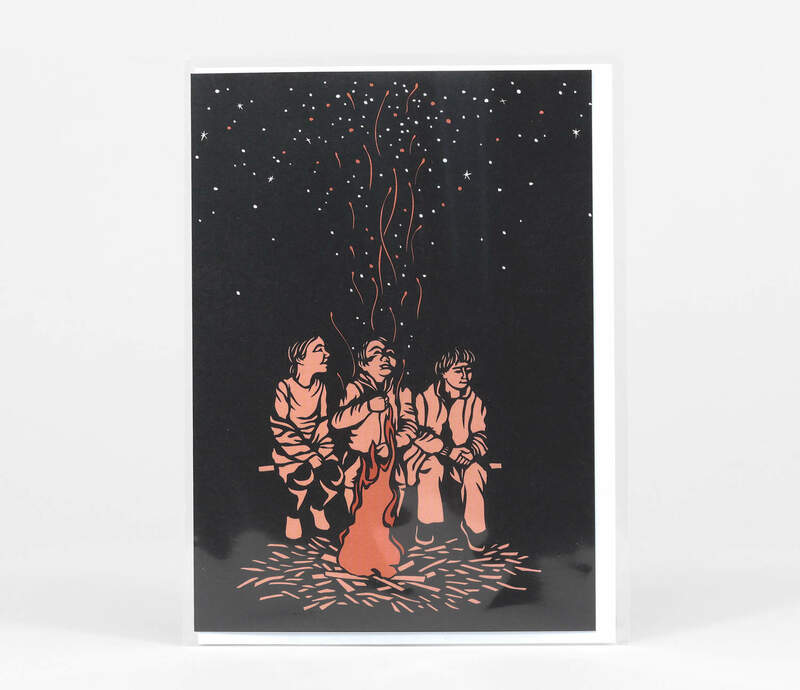 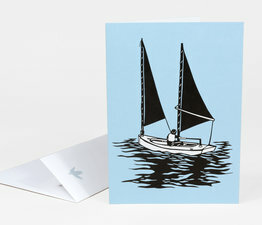 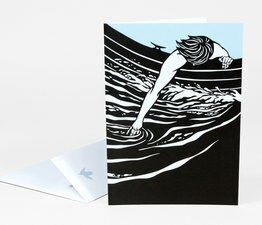 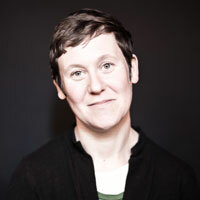 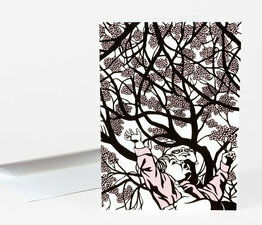 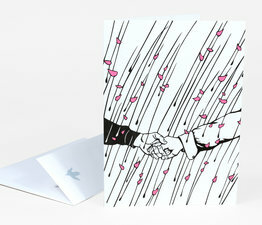 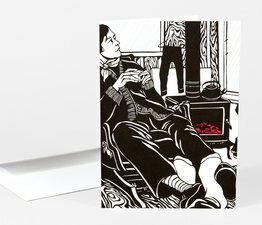 Thinking of getting more than one Nikki McClure notecard? 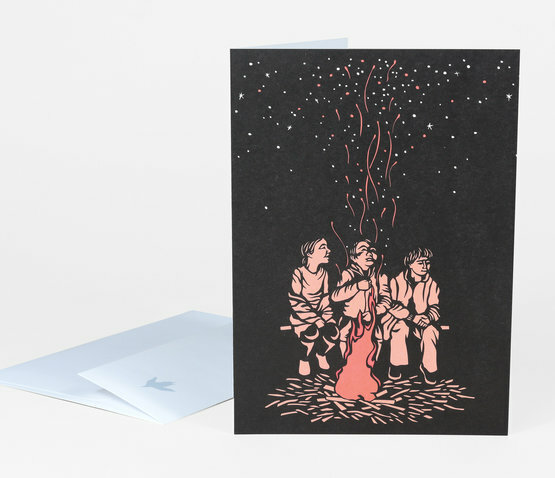 Nikki McClure creates complex, yet natural designs by cutting away from a single piece of black construction paper with an x-acto knife. 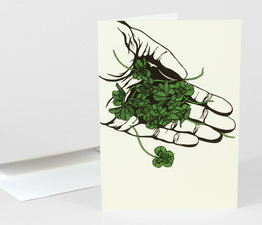 The process is delicate and time-consuming, and the end result is something to treasure. 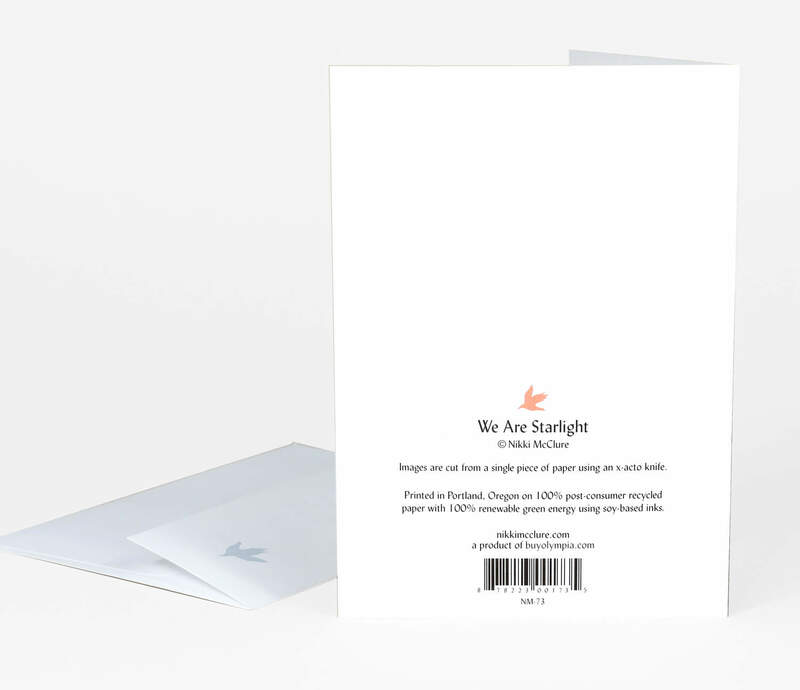 Printed on 100% recycled, 100% post-consumer waste, processed chlorine-free paper that was manufactured with electricity that is offset with Green-e® certified renewable energy. 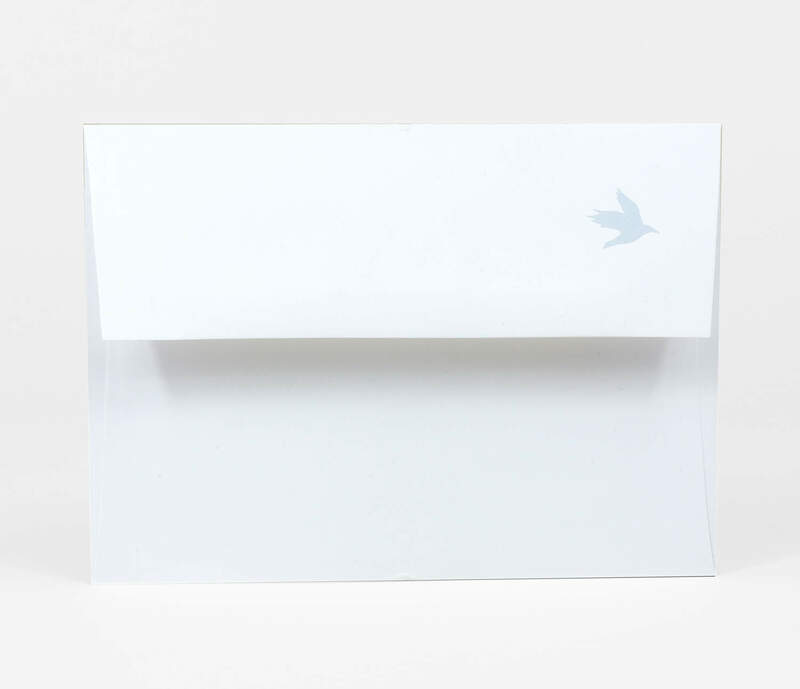 Comes with a matching envelope (below) printed on both sides with Nikki's signature of flying crows. 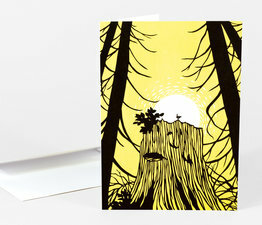 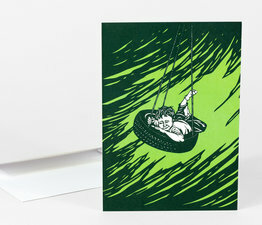 Printed with soy-based inks by a small family-owned press in Portland, Oregon. 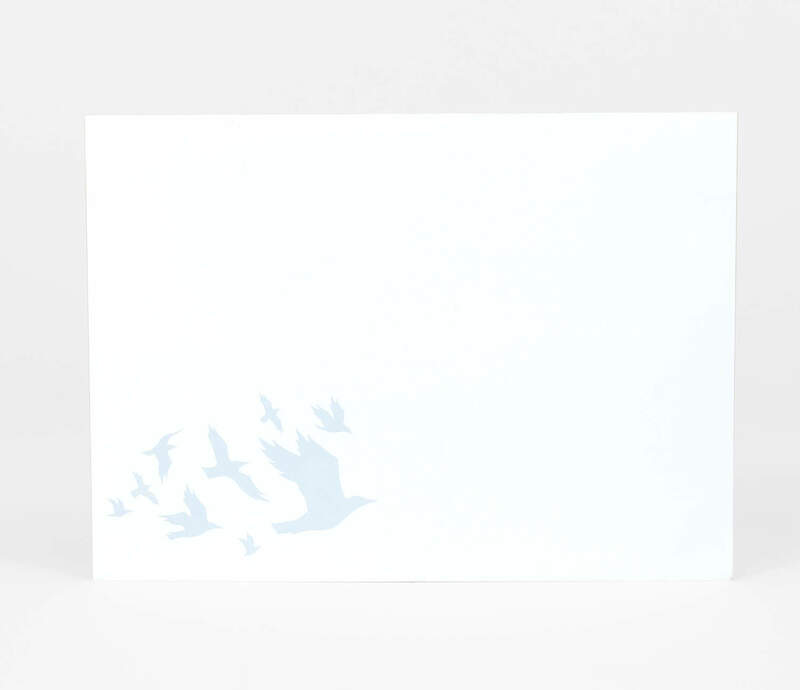 Nikki uses an x-acto knife to cut her designs into paper.